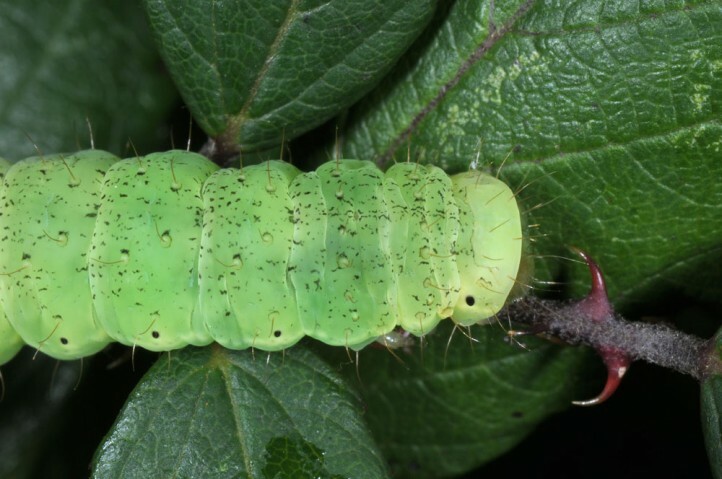 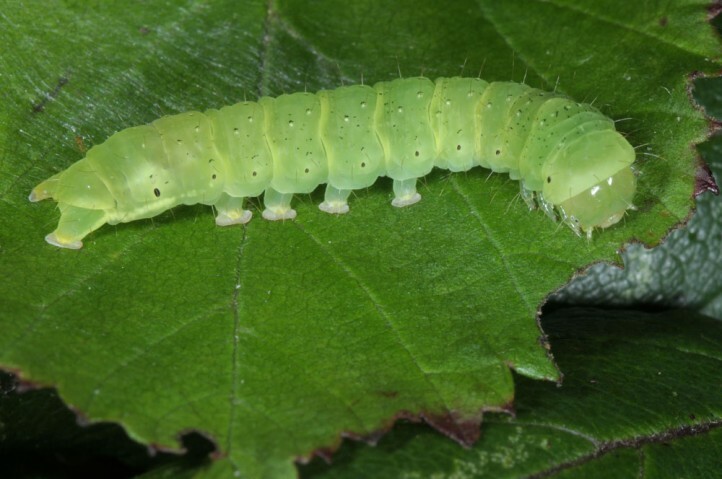 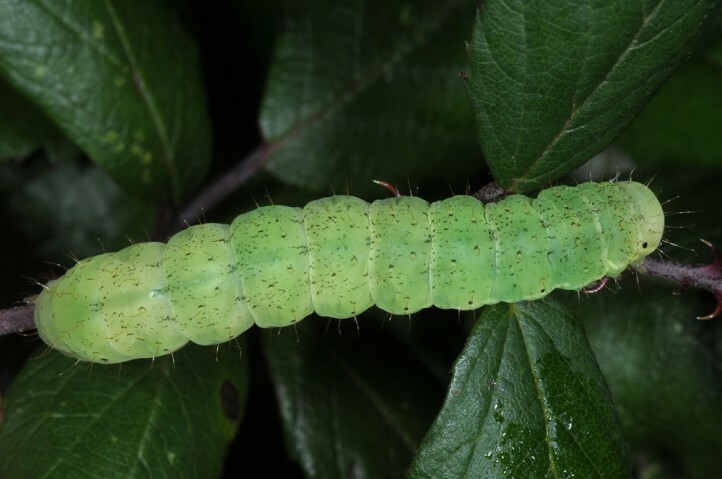 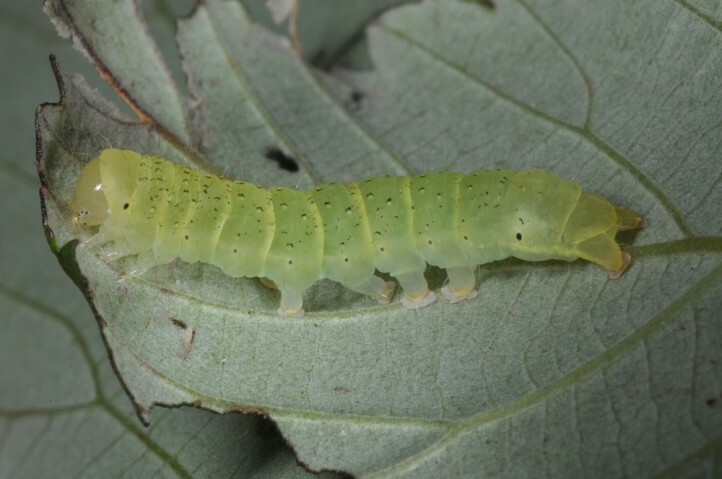 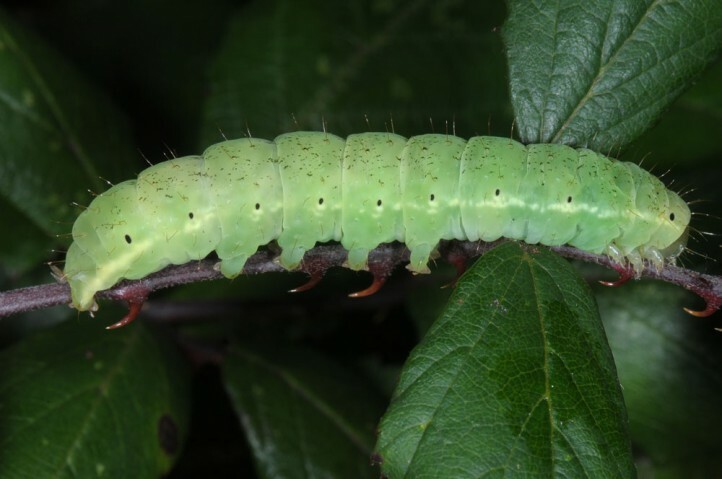 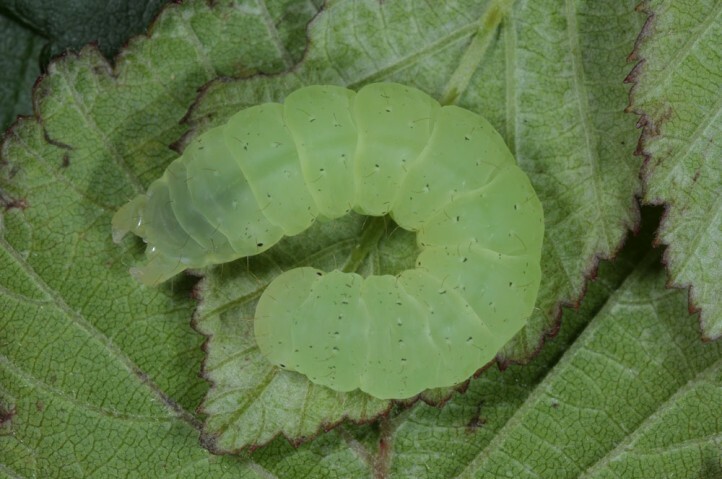 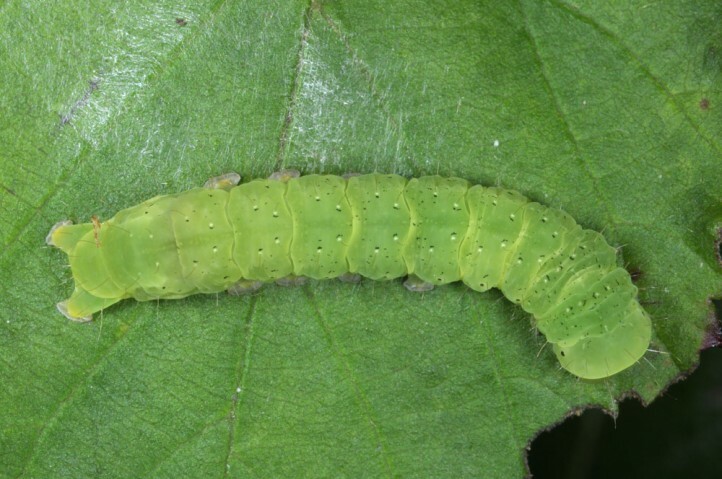 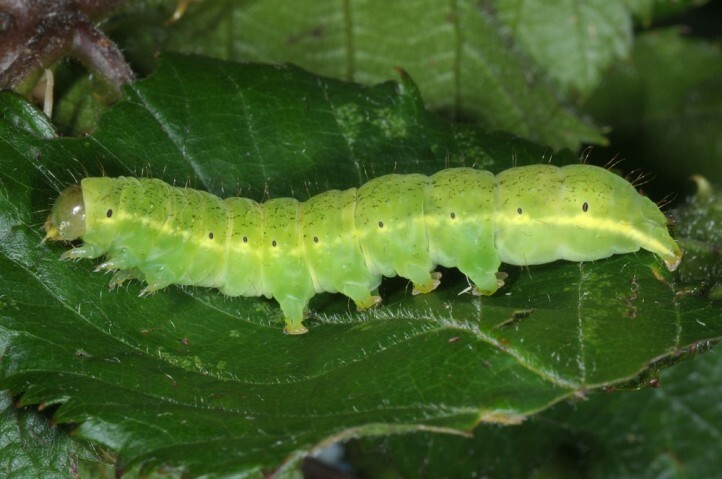 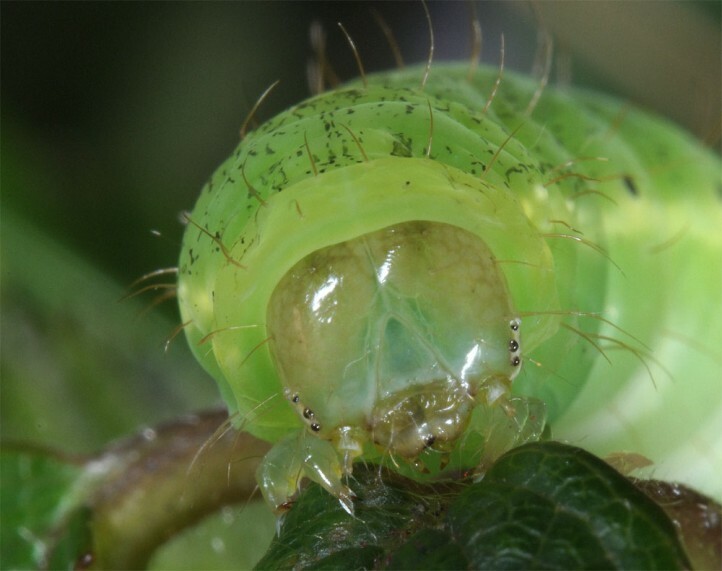 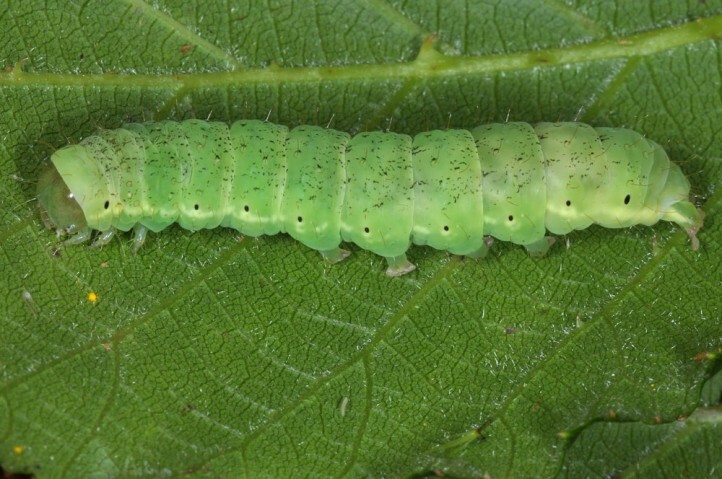 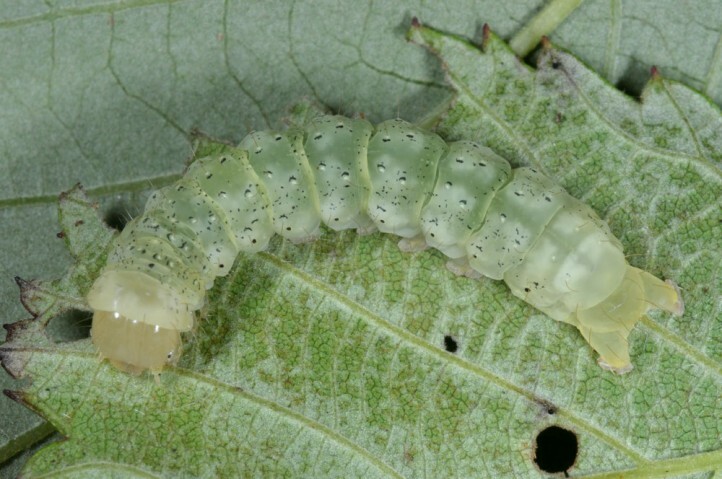 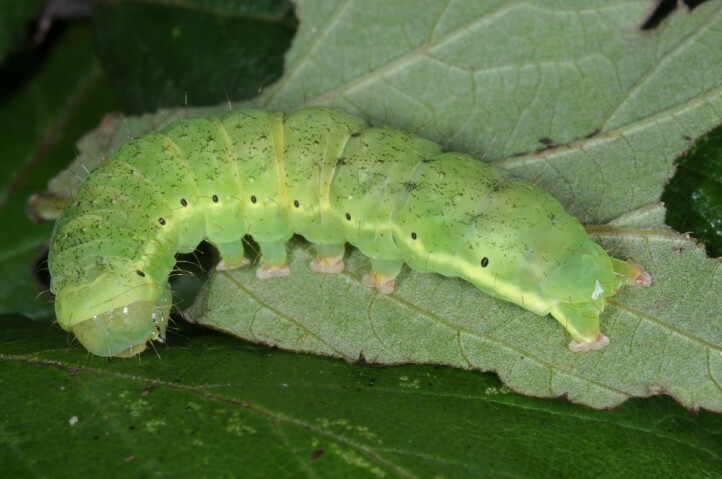 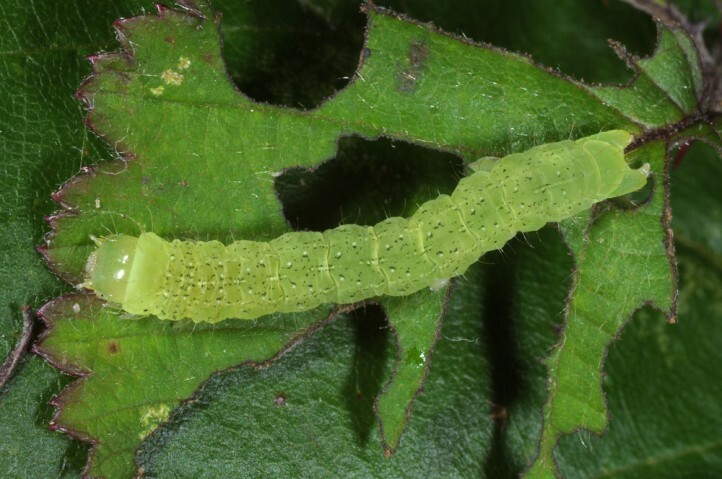 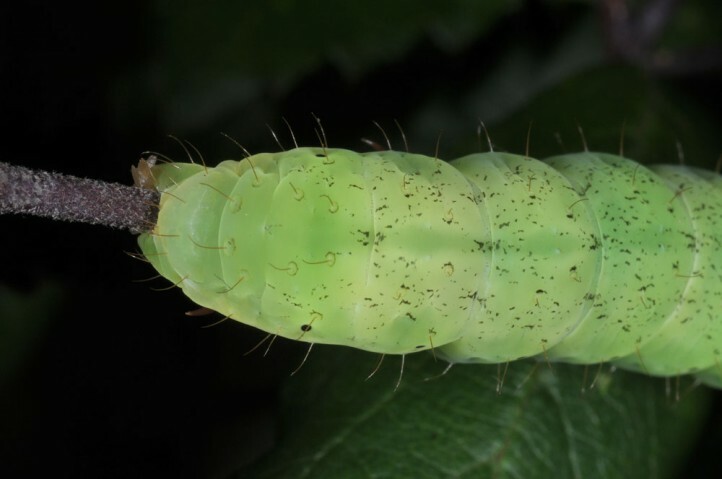 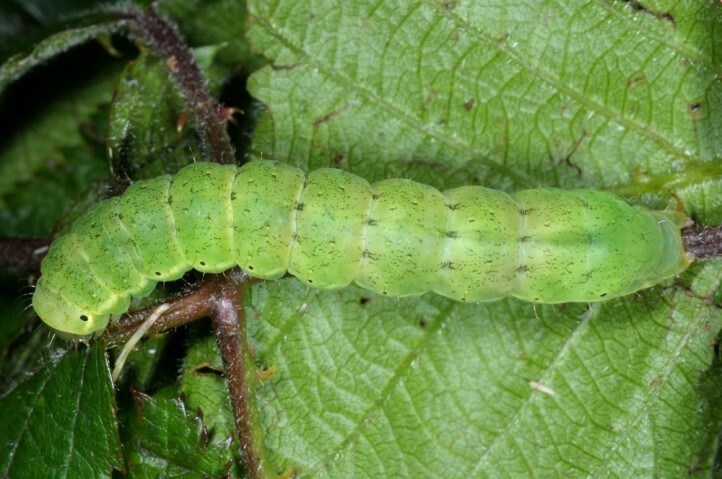 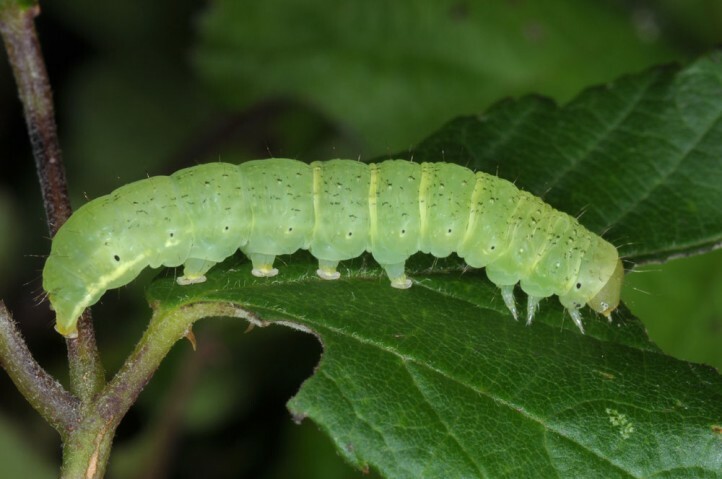 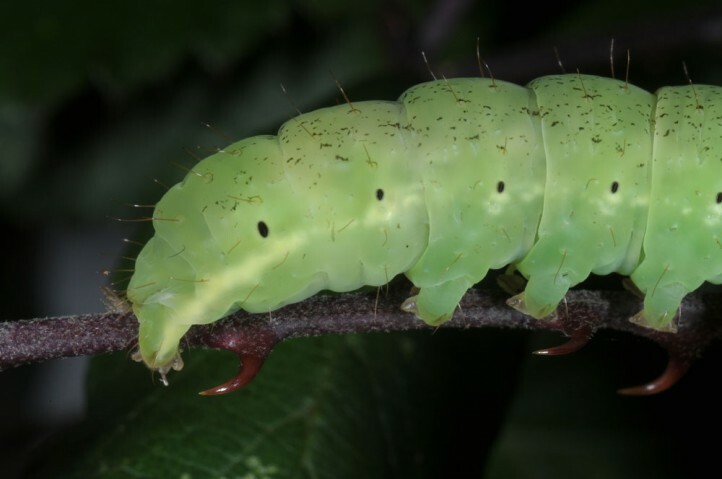 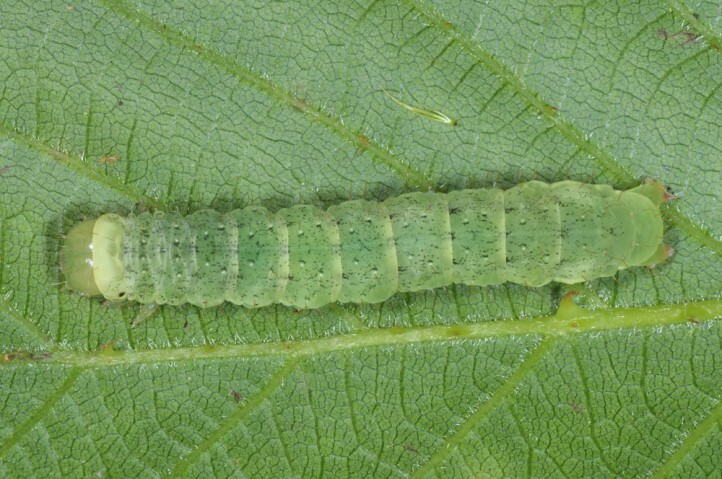 The larvae feed on Rubus species. 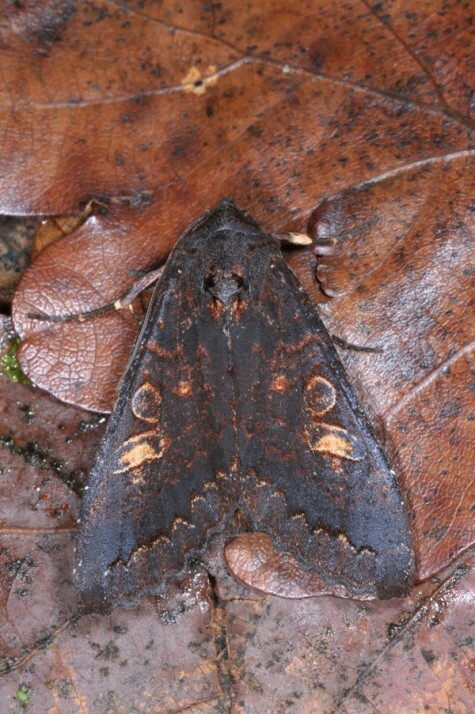 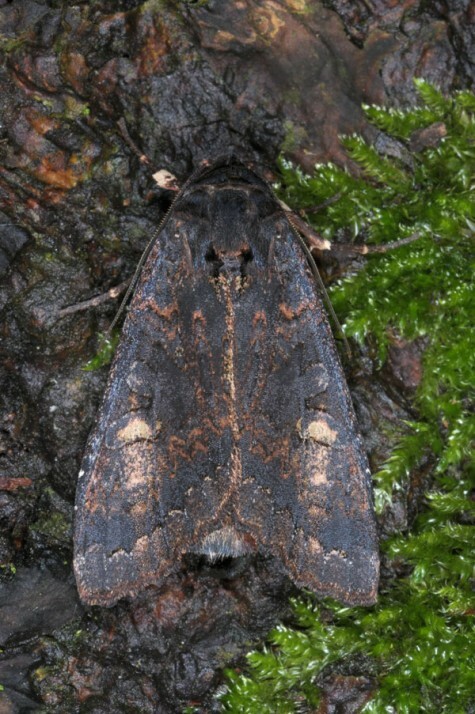 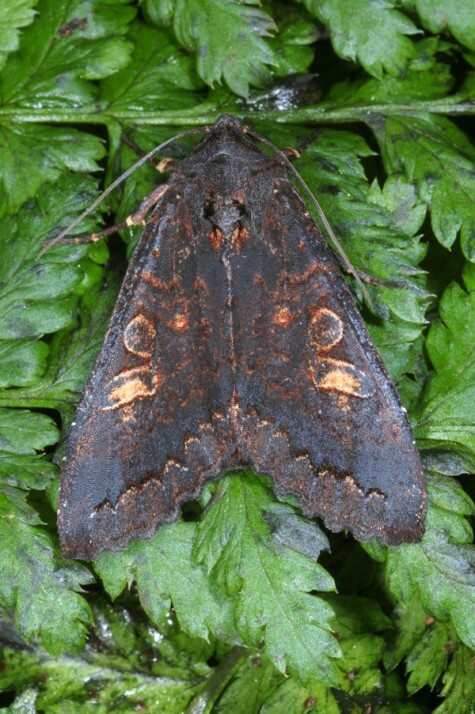 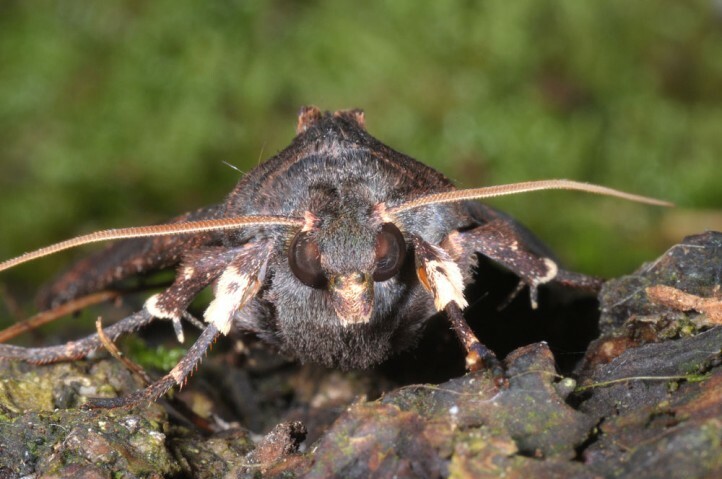 Phlogophora cabrali inhabits humid, wind-protected places most often between 400 and 1000m asl. 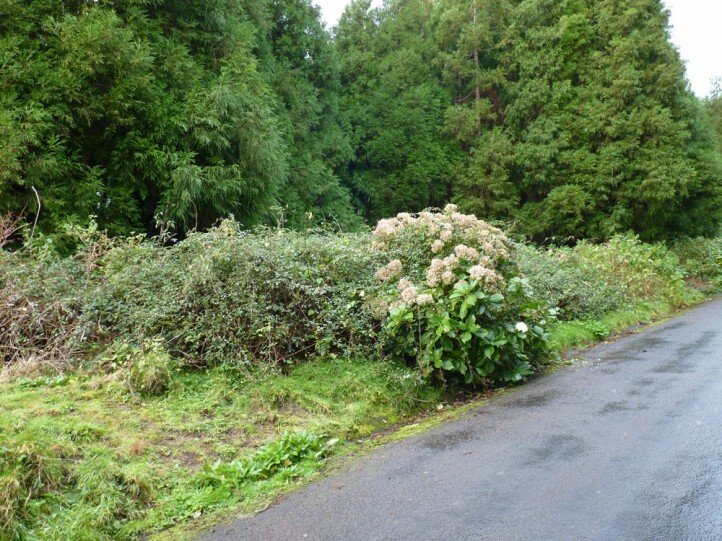 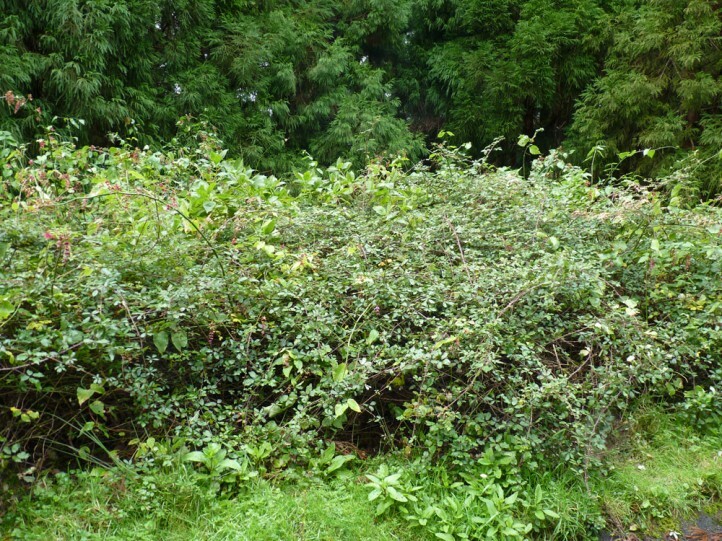 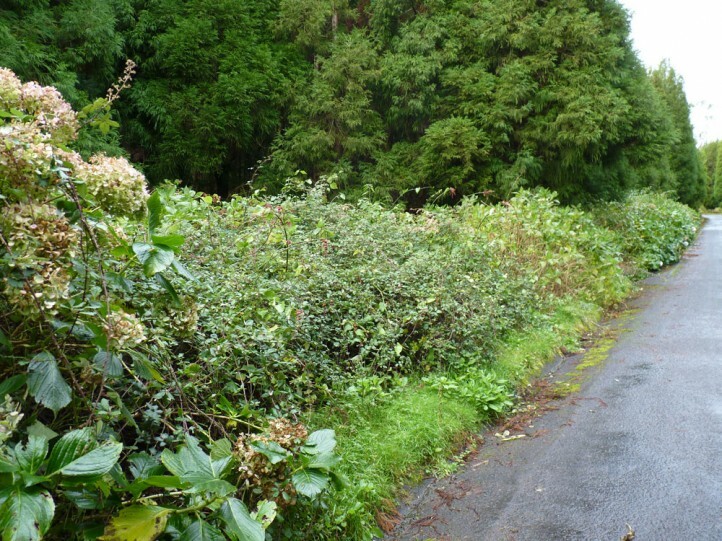 The Rubus thickets may be located in and around allochthonous coniferous forests as well as laurel woodlands and in the more open countryside (Atlantic heath, hedges). 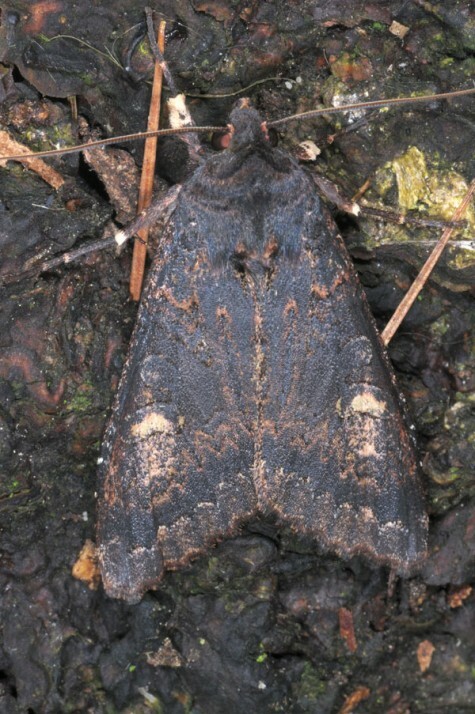 Phlogophora cabrali has several generations per year. 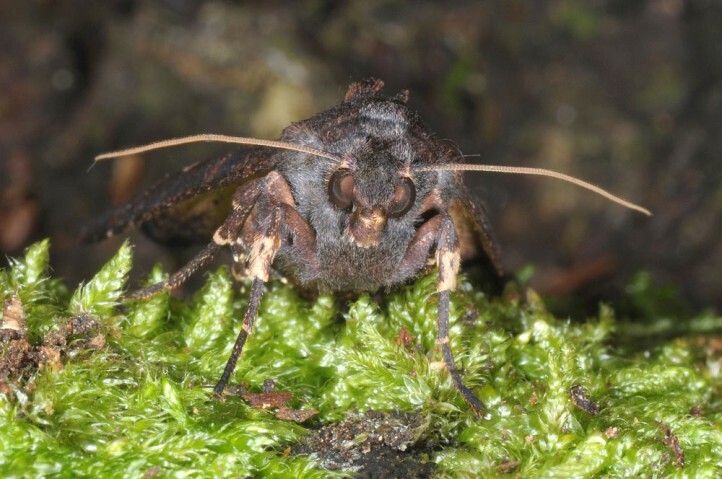 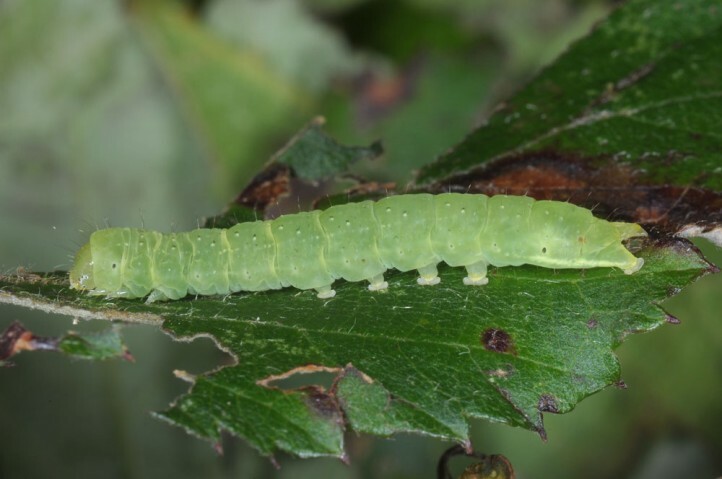 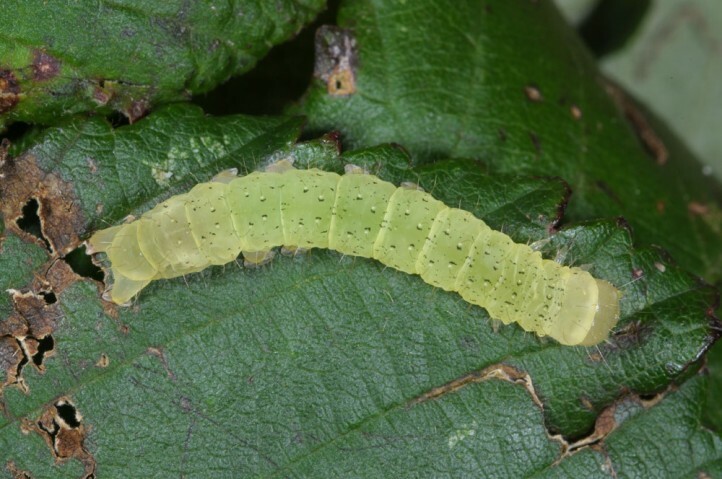 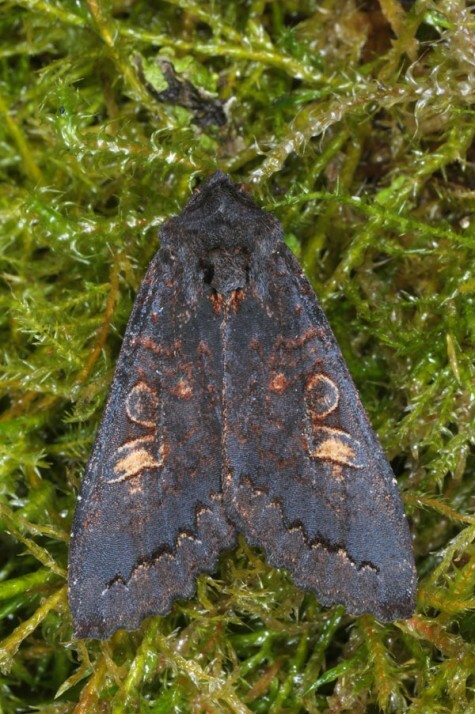 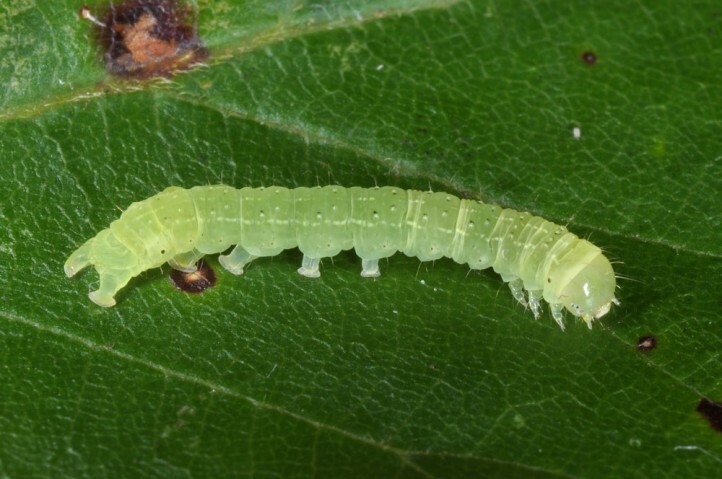 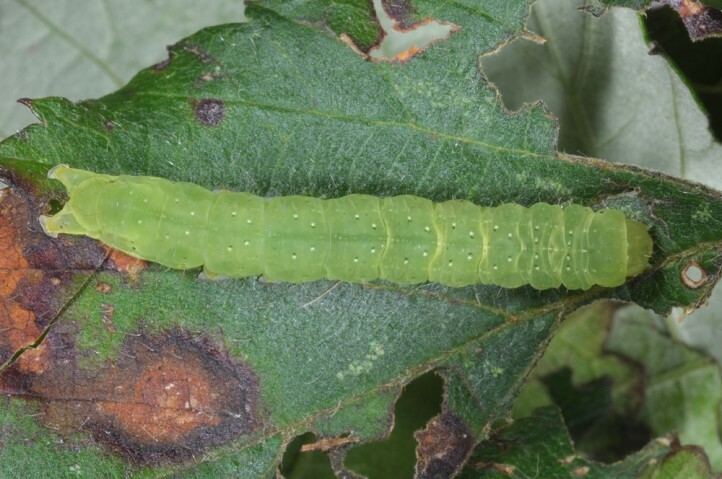 I recorded more than 30 larvae on both São Miguel and Pico Island in December 2014. 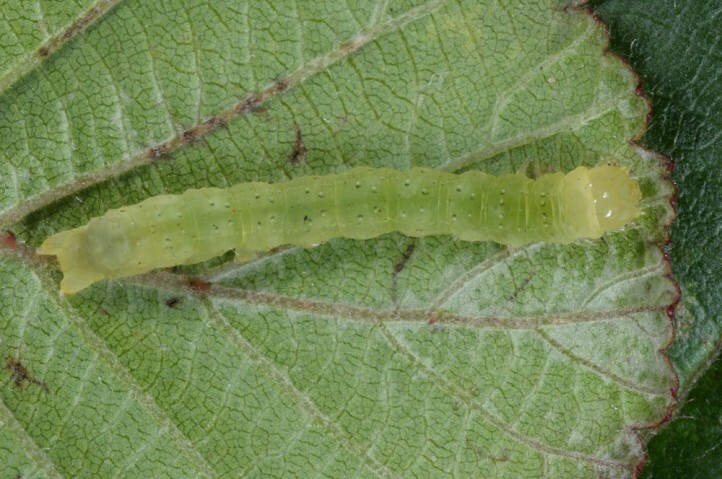 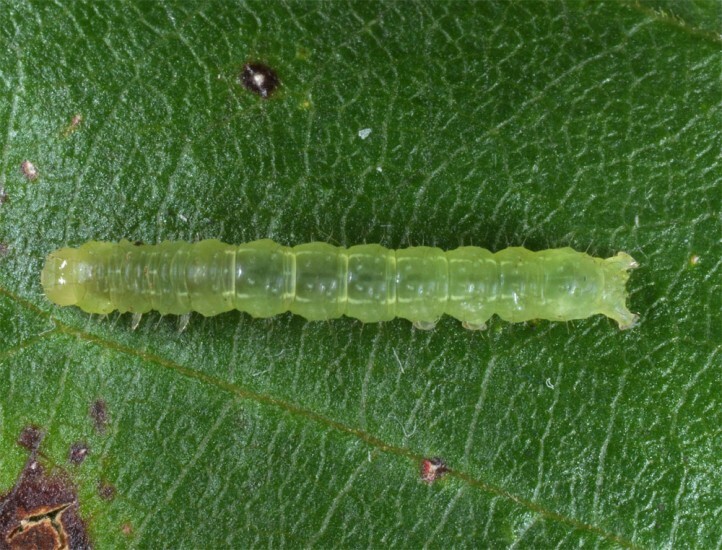 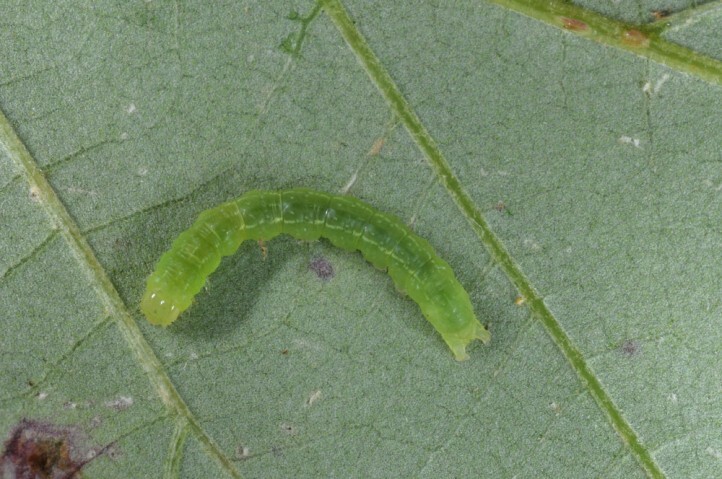 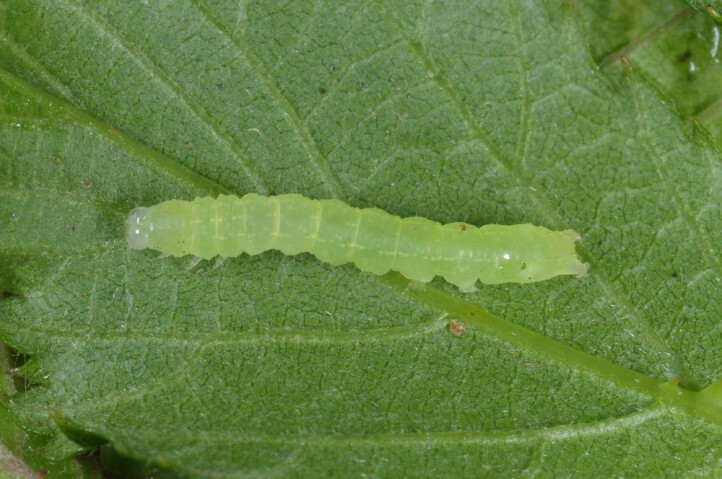 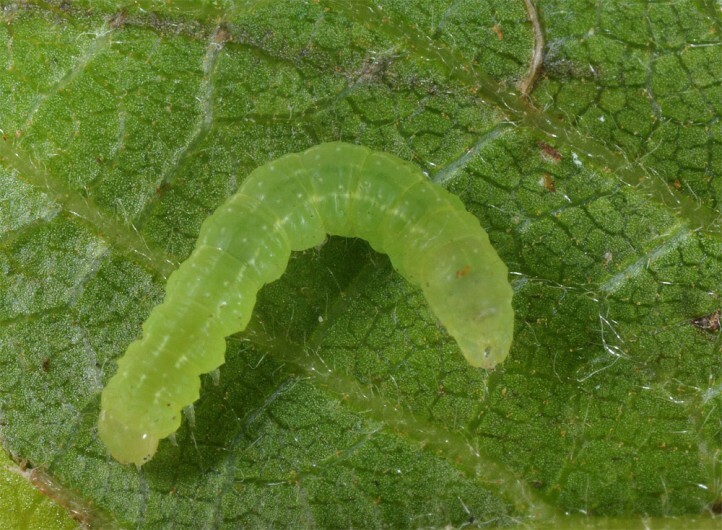 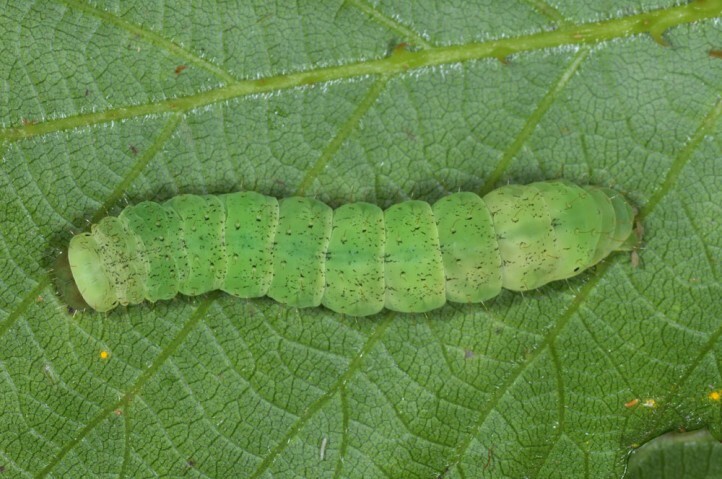 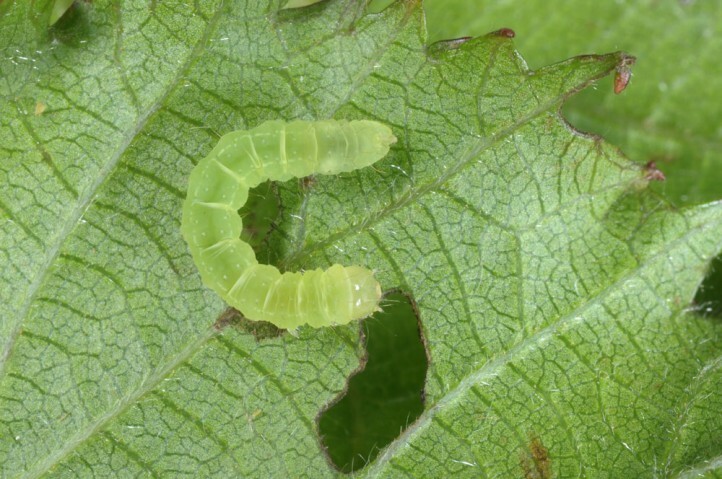 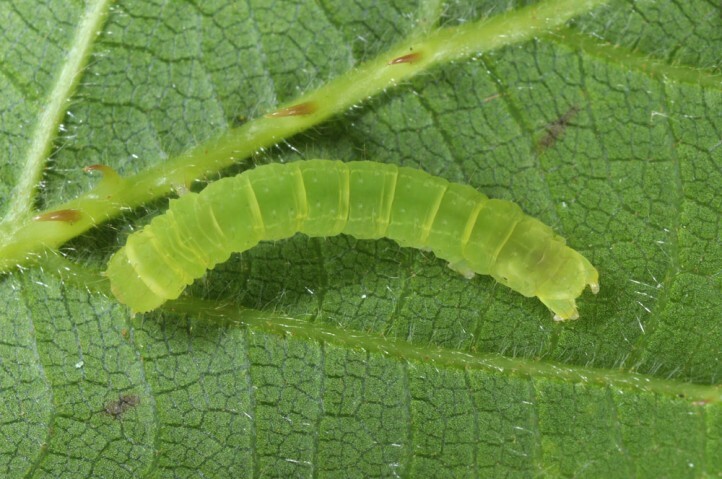 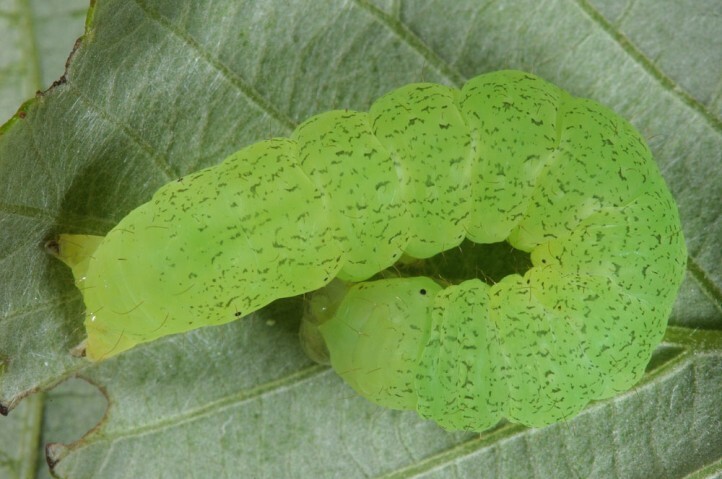 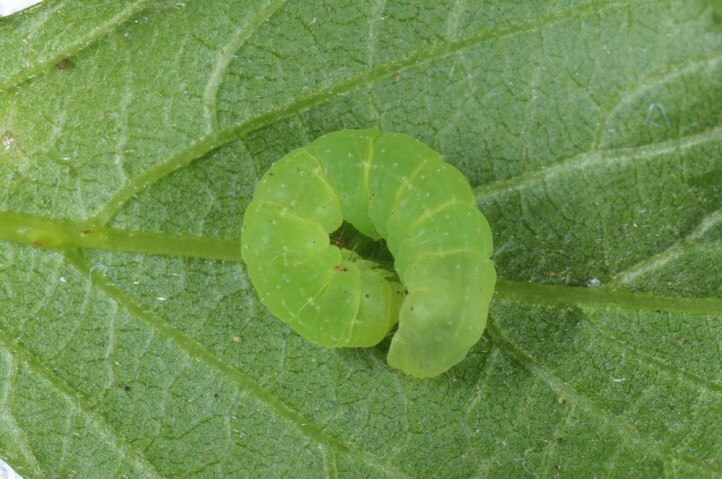 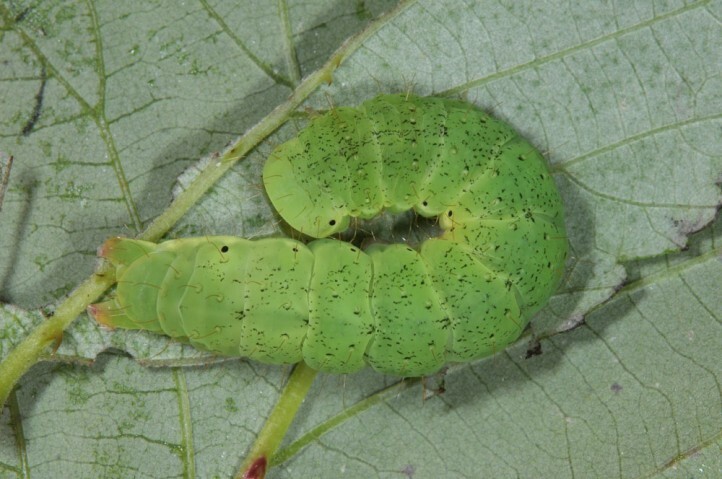 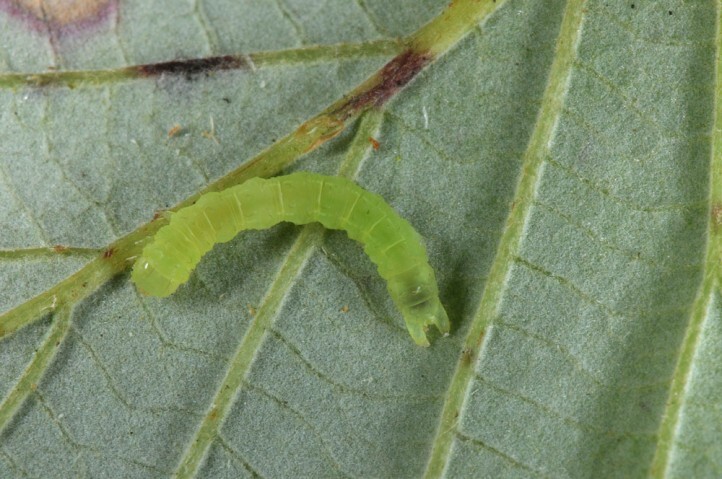 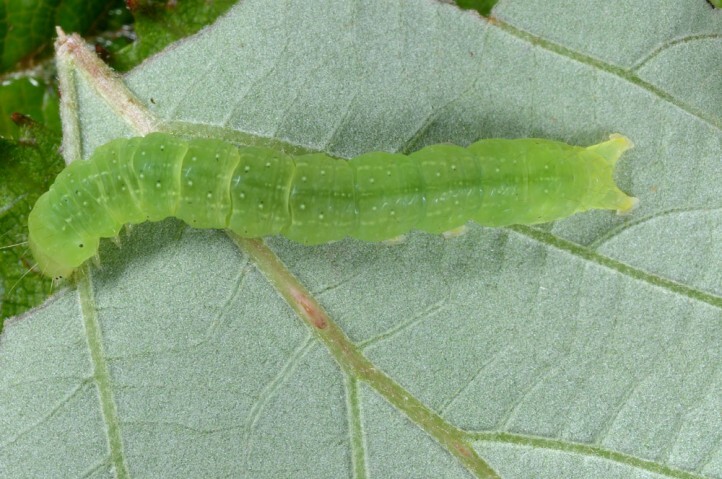 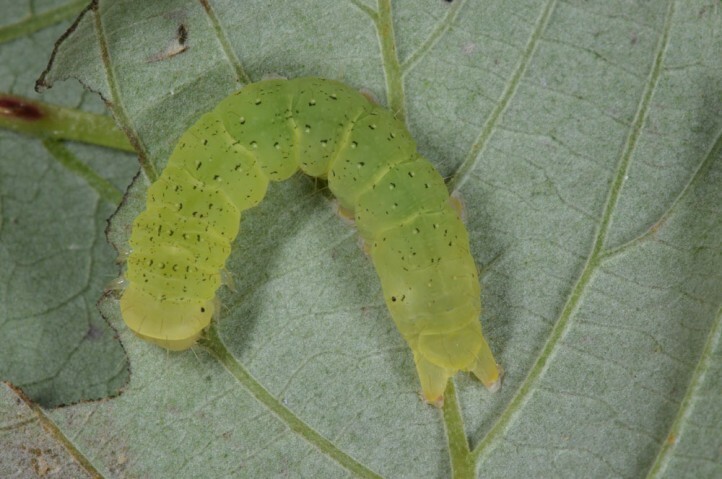 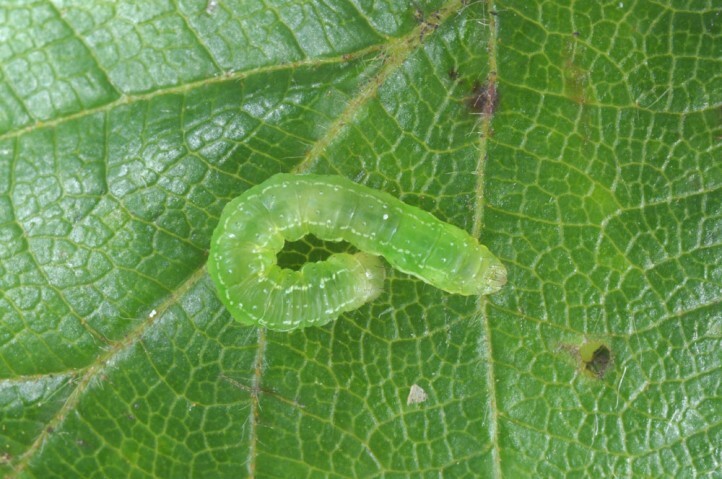 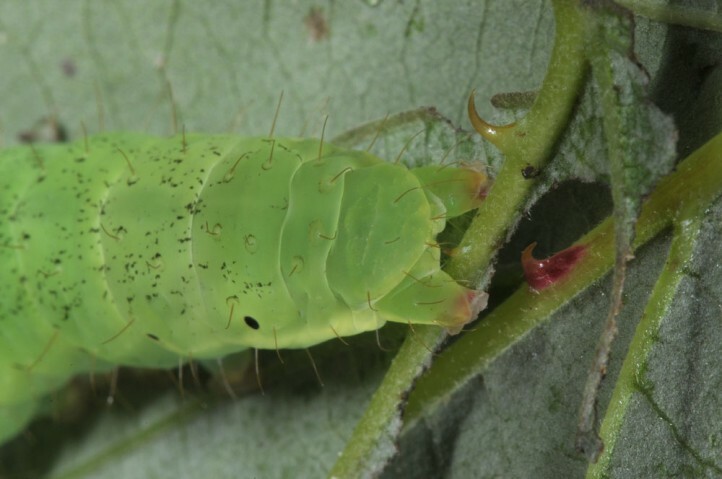 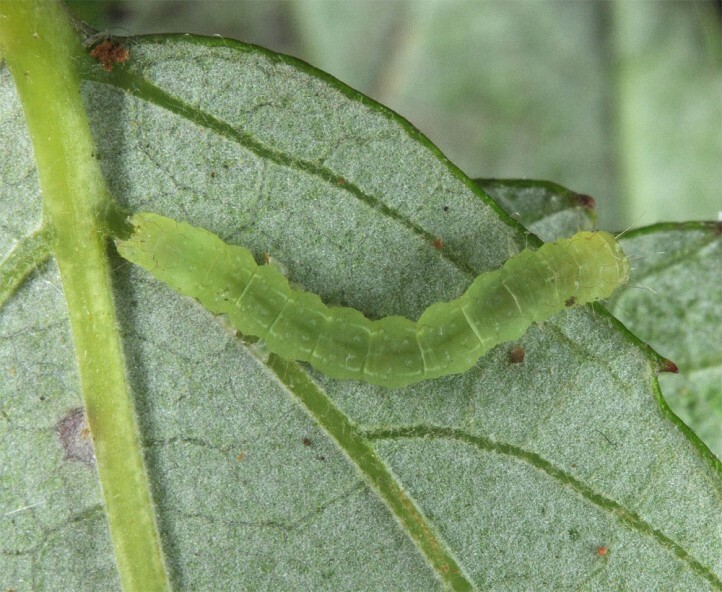 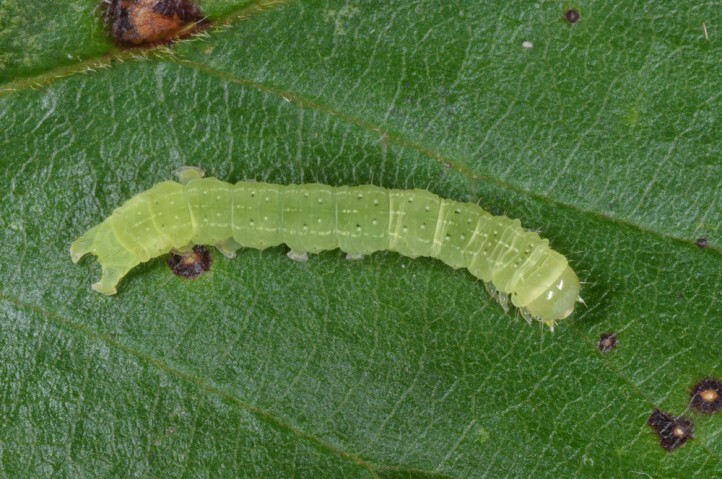 Oviposition occurs singly on lower leaf sides of Rubus, where the young larvae live, too. 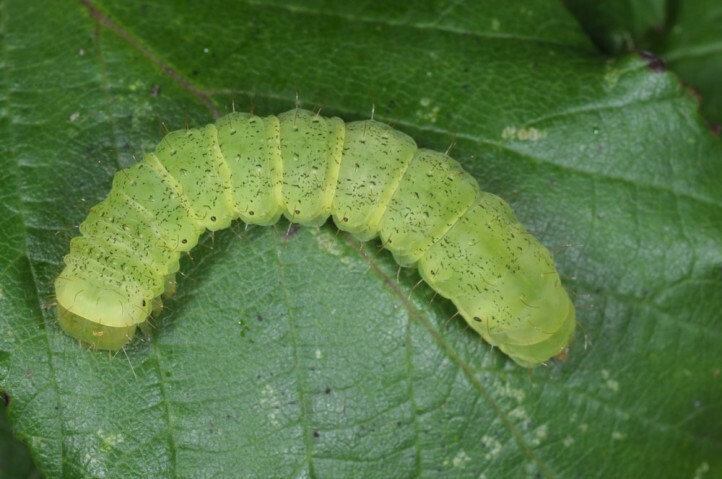 The older larvae hide themselves at least in last two instars in the moss or litter on the ground during daytime and feed only at night. 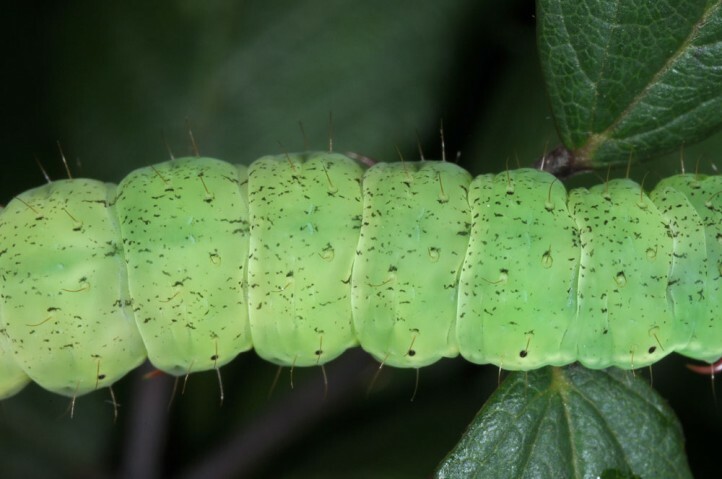 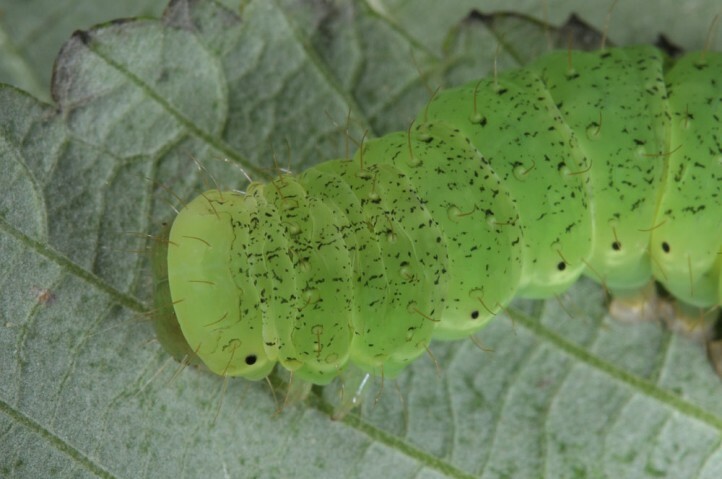 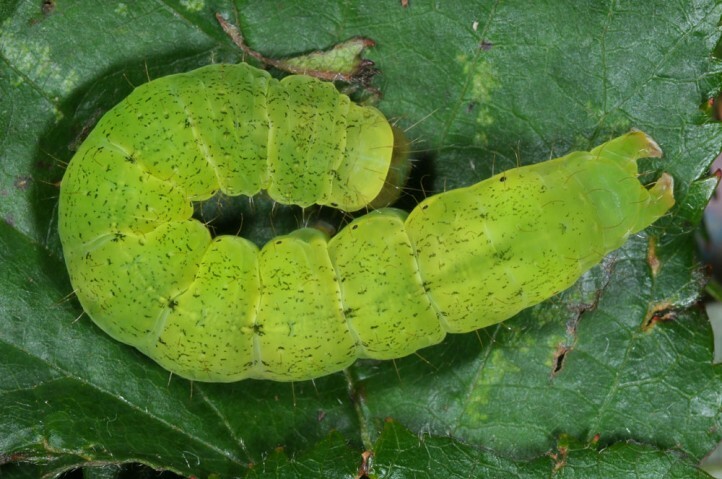 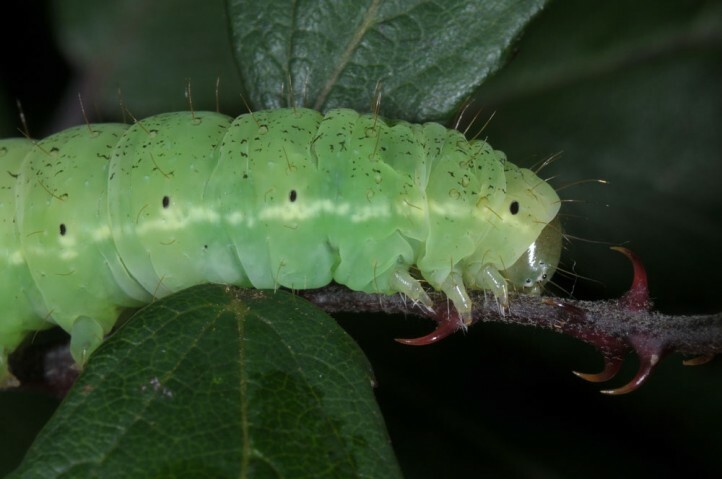 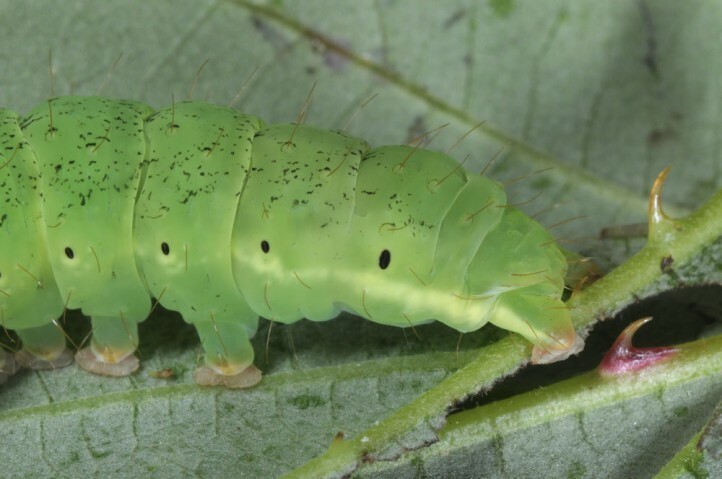 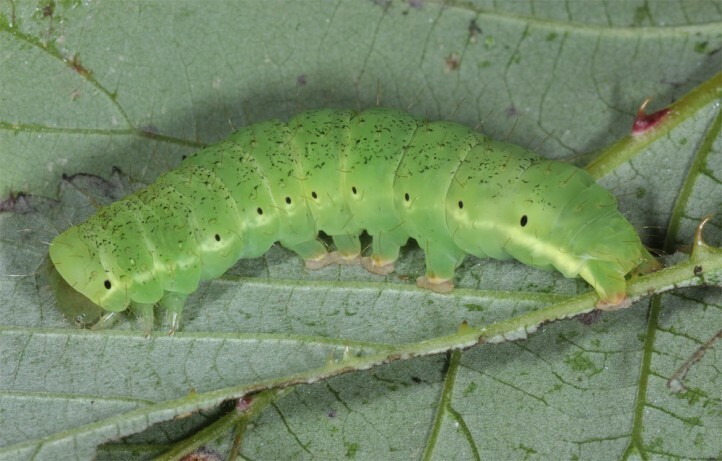 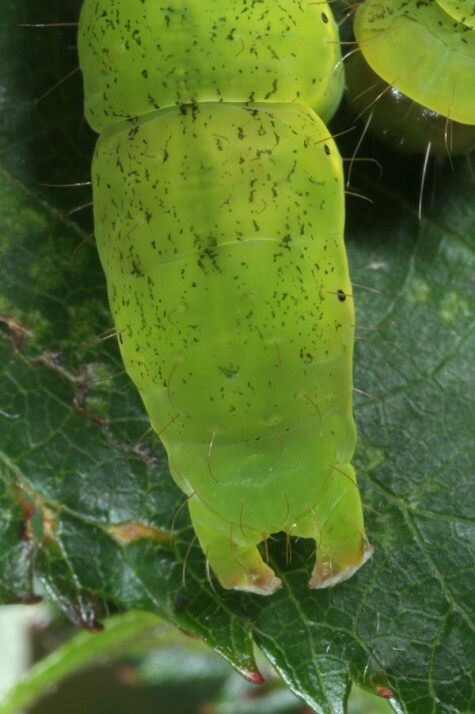 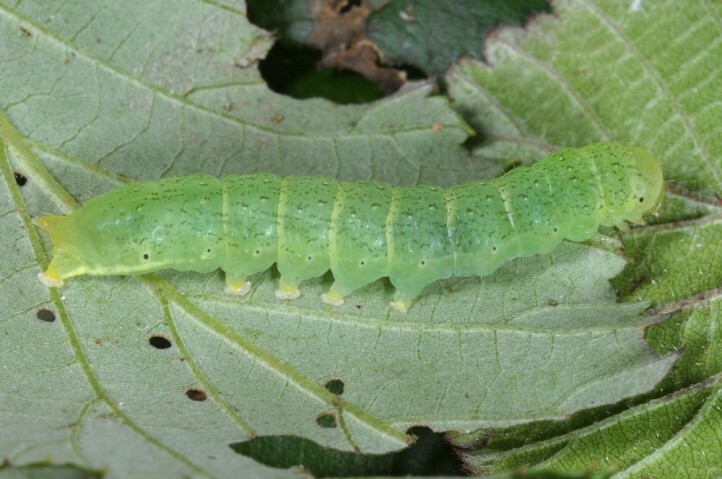 Most larvae are still green in last instar whereas most larvae shift to brownish in P. interrupta, P. kruegeri and P. furnasi. 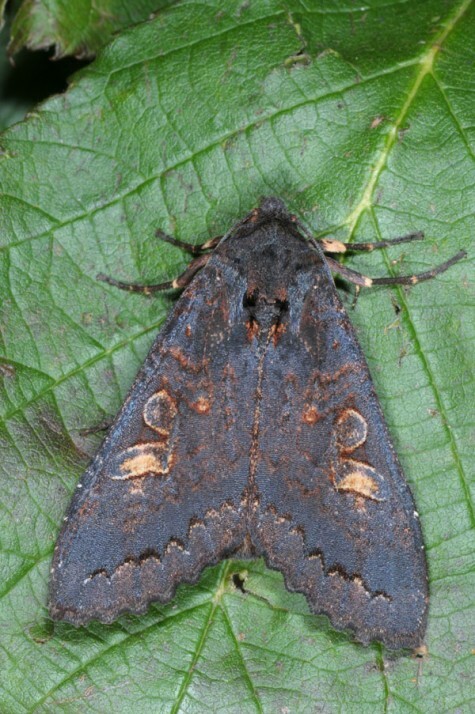 Phlogophora cabrali is only moderately endangered because its habitat claims are quite low and Rubus is promoted by eutrophication. 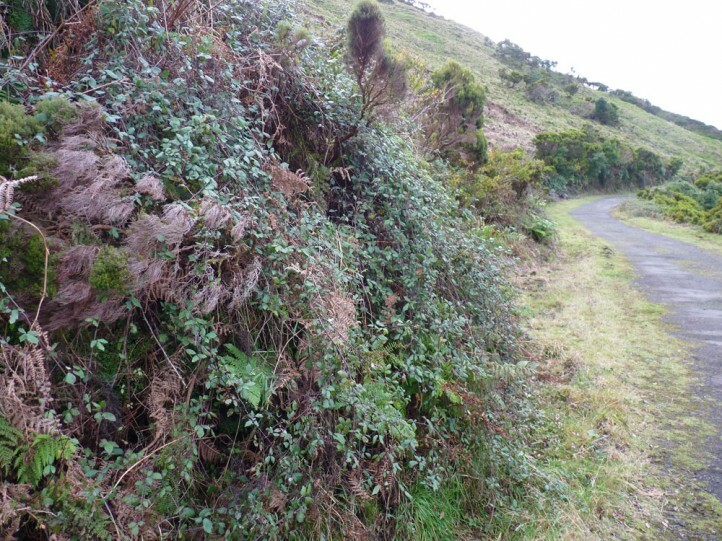 Despite this, the transformation of habitat into EU-funded cattle pastures is the most important threat. 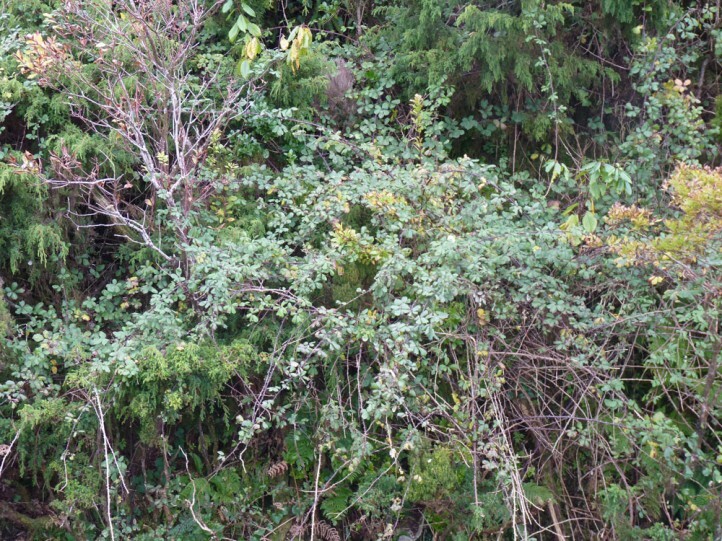 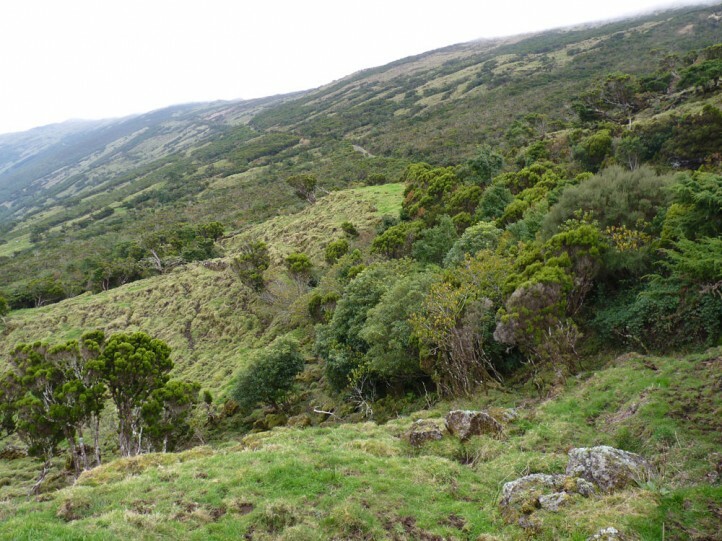 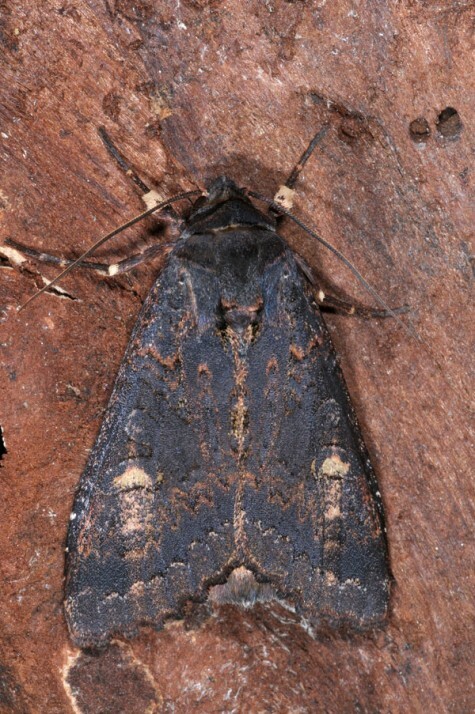 The Azorean endemic is so far known from São Miguel and some islands of the central group of isles (for example São Jorge or Pico).